The following Q&A is the first installment in a series of content focused on providing insight into innovations and technology enhancements for modern marketers. 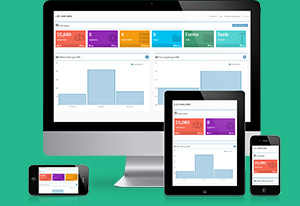 Earlier today Oracle Marketing Cloud announced two important Oracle Data Management Platform (Oracle BlueKai) enhancements for use by marketers, agencies, publishers, and advertisers alike. We caught up with Rebecca Kaykas-Wolff, Director of Product Marketing, Oracle Data Management Platform, for more insight into the release. Can you highlight the new release and why it’s important for modern marketers? RKW: We have announced a significant modeling capability specifically for our Oracle Cross-Channel Marketing (Oracle Eloqua and Oracle Responsys) customers called Lookalike Modeling. The inspiration behind this integration is to help marketers leverage the amazing data being gleaned about their ideal customers, such as purchase data, preferred engagement across different marketing channels, and more. 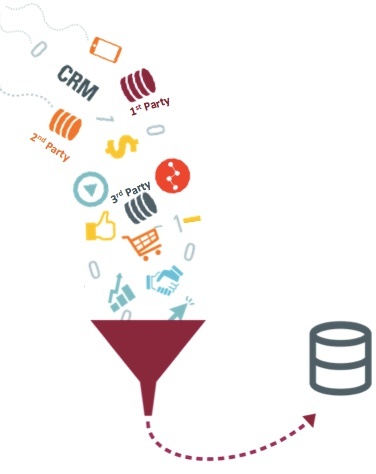 Now, with Lookalike Modeling, these email or lead-gen marketers can take those important segments, and send them to the Oracle Data Management Platform (DMP). There, the Oracle DMP will build an audience based on additional 3rd party data sets that “look just like” those best, known customers. With one billion audience profiles pre-loaded into the Oracle DMP powered by the Oracle Data Cloud, marketers get immediate reach. The Oracle DMP then allows them to leverage hundreds of pre-integrated media channels to target customers through Display Advertising to meet acquisition goals. We also are announcing a very cool data ingest (data ‘in’) capability called On Demand On-Board. This capability is a core functionality built into the Oracle DMP that allows us to pull in web analytic data from any web analytics platform. DMP customers can take advantage of the insights gleaned and then take action upon them – regardless of the platform they are coming from. The reason we’re excited about this capability enhancement is that we recognize that data will always reside in multiple systems. We’re investing in ways to be more open to enable connection to/from as many systems as possible so that we deliver the most value to our core customer set as we can, using the technology they already have. Where do you see the most significant application of this product for modern marketers? RKW: In both scenarios, the most significant use case is for marketers who are focused on defining who their best customers are, what their preferences are, and which actions they are actually taking to develop informative profiles. This release is aimed at helping our marketing and advertising customers utilize the data they have by providing easy, fully integrated access to the data without barriers for activation through their preferred channels. Who are the marketing stakeholders that can benefit from this solution? RKW: The Oracle DMP is tailored for enterprise marketers, advertisers, publishers, and agencies that want to drive performance out of their campaigns and marketing program investments. In this case specifically, both releases are easily leveraged for B2B and B2C purposes to meet acquisition and retention campaign strategies. How do you see the future of this product developing? RKW: The growth of the Oracle DMP is at the forefront of helping marketers and publishers become more efficient with their advertising. With these integrations, we are laser focused on bridging that world of paid media with the earned and owned efforts being handled in Oracle Cross-Channel Marketing platforms. This combination is very powerful. We are also working with our colleagues leading the Oracle Data Cloud, to ensure that our customers can leverage the hundreds of branded and unbranded marketing-related data included in the Data Cloud. And, they not only focus on ensuring there is data, but all the data an enterprise might want in the Cloud is accessible. We have focused on releasing advancements in the areas of providing more ecosystem integration for activation (addressable TV, social, mobile and emerging channels, etc.) and continue to focus on market growth globally with product and services focus in EMEA, APAC, and LATAM. In addition, you might have seen the recent announcement from our Oracle Data Cloud team regarding their release of more B2B relevant datasets for marketers. This release further expands the business-relevant data set availability to publishers, agencies, and marketers and extends our third party footprint globally. The Oracle DMP has full and complete access to this data set and we are incredibly excited by the advancement. Visit the Oracle Data Management Platform page for more info. What is the Stage of Your Marketing Data?